MARAWI CITY, Philippines (Mindanao Examiner / Apr. 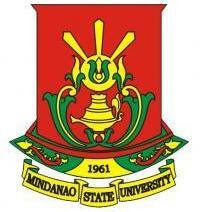 19, 2011) – The government-run Mindanao State University in the southern Philippines has bared a five-point action plan to enhance further its quality of education and become a model for academic excellence. Cadidia Pimping, Director of the MSU System Training Center, said the components of the action plan include the students, faculty members, physical facilities, instructional materials and administrative employees. The official said all stakeholders must work together to achieve the mandate of the institution. Pimping said the action plan is in line with the program of the current MSU leadership. MSU, Pimping said, is more vibrant not only in the academic field, but also in research and extension and community services. Then Filipino leader Gloria Arroyo put education, especially for the poor, in her utmost priority, according to Pimping, who also cited the former president’s education program in Mindanao. Pimping emphasized the importance of a harmonious relationship among faculty members and teachers in different levels and committed to quality education.